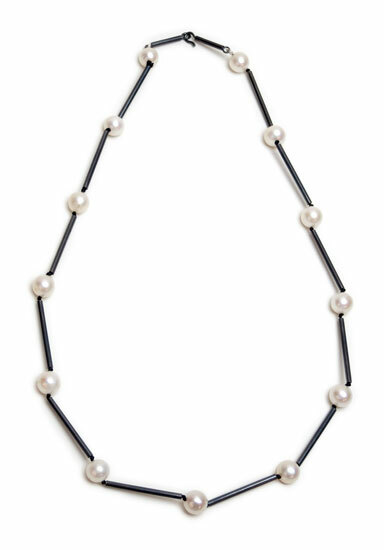 Pearl Station re-visits the conventional pearl station necklace that normally uses chain. 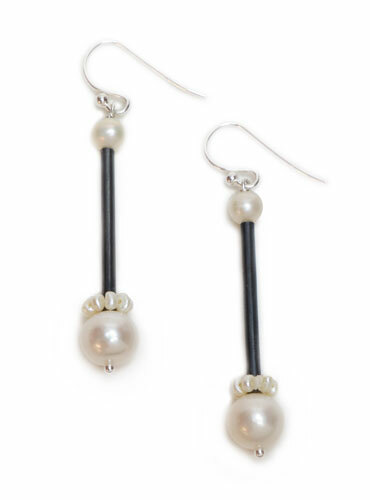 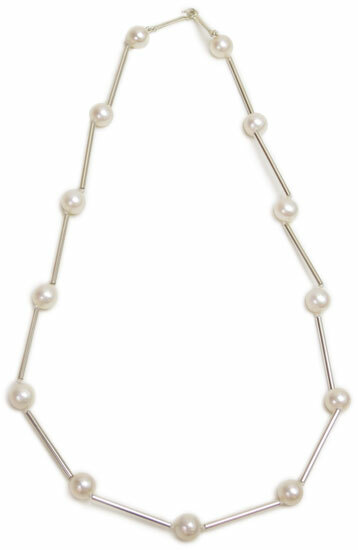 In this case, slender tubes are used to space the pearls to update a design classic. 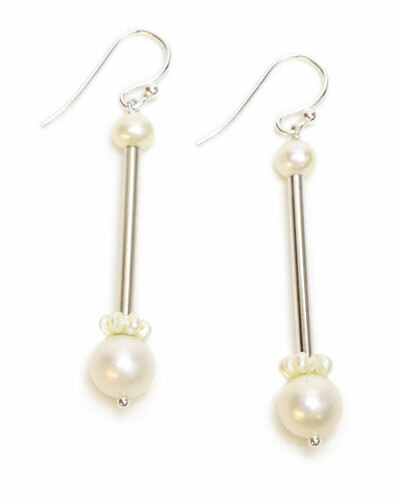 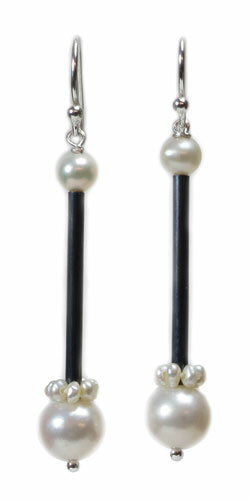 The earrings have an added special touch with the 'crown' of seed pearls.